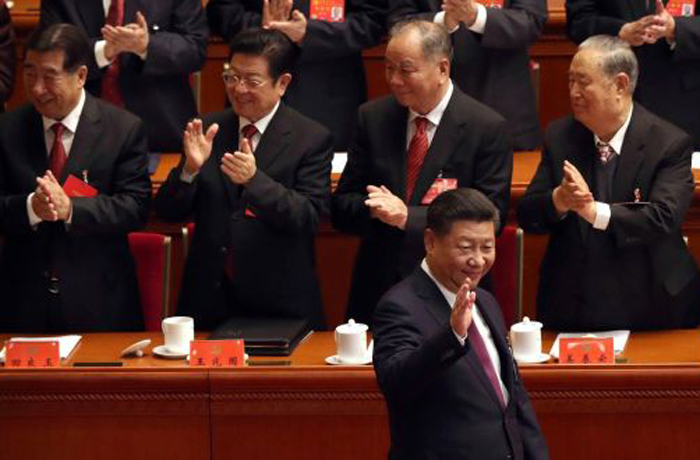 The reform, wanted by the Party’s Central Committee, was voted by the National People’s Congress and made public yesterday. Some Christians see no change: the repression continues. A Protestant professor: It's an important change since the Mao era. What it reveals is the unlimited expansion of Party power. Doubts about the dialogue between China and the Vatican: The Catholic Church will become an instrument of support for the Party. The promotion of Xia Baolong, the destroyer of Zhejiang crosses. Beijing (AsiaNews) - The State Administration for Religious Affairs (SARA), also known as the "Religious Affairs Bureau ", so far under the authority of the Council of State, has passed under the direct rule of the Communist Party. The move is among a detailed program of reforms on the Party and the state institutions released yesterday. The decision to eliminate SARA was passed in the third plenary session of the 19th Communist Party’s Central Committee in late February. Part of the program was reviewed in the recently concluded National People’s Congress, China’s parliament. Detail of the program was made public on March 21, with indication that the reform should be implemented by the end of 2018. Among the reforms, religious affairs are now managed by the United Front Work Department (UFWD), an organ of the Communist Party’s Central Committee, whose main function is to manage relations with the non-Communist elite, including individuals and organizations, such as religious groups. Also now under the management of the UFWD are the Overseas Chinese Affairs Office and the Ethnic Affairs Commission, both also originally under the State Council. The structural change received mixed views among Chinese Christians and observers. “There won’t be big change to religious environment, neither loosen nor tighten. It is only a change on management structure and they will do the same thing,” said Father Liu, a priest who serves in a Southern province. 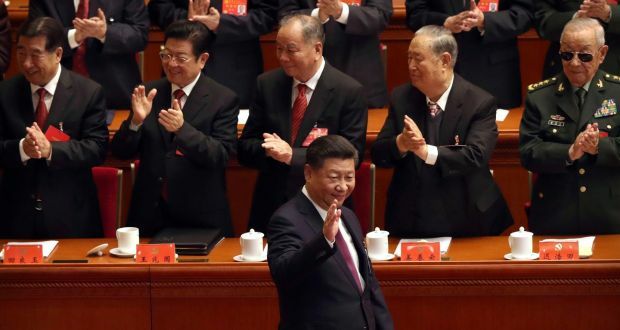 “The reform is to put all authority under the Party, no more sharing power with the State Council,” said a Chinese observer who asked not to be named. However, he agreed that there is nothing to surprise as the UFWD has always been the supervising unit of the SARA, adding that the UFWD will still keep the signboard of the SARA as it needs an executive office to implement the work. “The move could unify different voices on the management of religions,” the observer said, noting that religious management could involve a number of departments, such as national security, public security, buildings and education, etc. But Eric Lai, a Catholic commentator, sees the move shows the Chinese Communist Party no more regards religion as a target to liaise but actively using it as a tool to maintain stability. “It is nothing new for an authoritarian government to use religion as a tool for stability. The Russian Orthodox Church actively safeguards the Putin regime is an example. In the future, if the Vatican and China sign an official accord, will the China Catholic Church follow the path of maintaining stability like the Russian Orthodox Church or have true religious autonomy to preach in the country? Under the current situation, no doubt the former is more likely,” said Lai, a Hong Kong native. “Religion is a citizen’s basic rights endowed by the Constitution. If it is assigned as specialized duty of the Party, this is undoubtedly a major change in the religious work since the founding of the Communist-rule China. It reflects the unlimited expansion of the Party’s power, interfering directly the basic rights of citizens. This kind of retrogression is definitely negative for the development of religious freedom in China,” he said. Wang added that it [the reform] will also benefit the implementation of the Party’s central important decision and planning on religious work, he added while urging his staff to understand the urgency and importance of the reforms by taking a political and overall view. According to media reports, the main duty of the UFWD after the adjustment is to implement the basic principles and policies of the Party’s religious work, study and formulate policies and measures for religious work and supervise their implementation, coordinate religious works, mange religious administrative affairs according to the law, protect citizens’ freedom of religious belief, consolidate normal religious activities and develop a patriotic united front with the religious communities. The reform comes as another surprise to Chinese Christians following the news of Xia Baolong, former Party secretary of the Cross-removal Zhejiang province, being elected vice chairman and secretary general of the 13th Chinese People’s Political Consultative Conference on March 14. As the CPPCC’s secretary general, 66-year-old Xia is regarded as powerful “housekeeper” of the top advisory body of Beijing. The promotion of Xia surprised many because when he was transferred to the NPC from his Zhejiang post last April, with many regarded it was the end of his political path waiting for retirement. Furthermore, Xia was not even elected to the Party’s Central Committee during the 19th Communist Party’s National Congress last October. Xia worked in Zhejiang since 2003, with four years overlapping when Chinese President Xi Jinping was party secretary of the province. Before reassigned to the National People's Congress as a vice chairman of the Environment and Resources Protection Committee last year, Xia was party secretary of Zhejiang from 2012 to April 2017, during which there were three years of Cross removal and Church demolition in the name of city planning. During the campaign that began in late 2013 and gradually subsided around April 2016, about 1,500 Church Crosses were removed, mostly from Protestant Churches. A few dozens of pastors and laypeople who defended their Church crosses were detained, threatened or prosecuted. The authority also prosecuted lawyers who defended them.